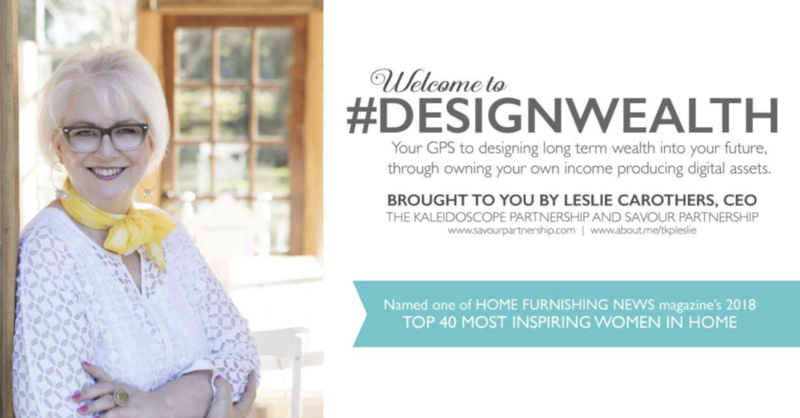 If you’re an interior designer, join our free Facebook Group: http://facebook.com/groups/designwealth to learn how to design wealth into your businesses for 24/7 passive income. How To Make Your Instagram Posts Shoppable - Even If You Only Have Just One Follower. This is another *grab a cup of coffee or tea posts*, but, at the end of it, you will know exactly how to make your Instagram posts, shoppable - even if you just have one follower. It does take having an ecommerce shop on your site, though, so if you don’t have that yet, you won’t be able to use the information in this post… but if you do..or soon will…or are thinking about it? Many business owners around the world that sell physical products, are now using Instagram’s shoppable posts feature, and you can be, too. No matter whether you're a huge retailer or a solopreneur selling beautiful pillows off of your website, like my good friend Deborah Main (aka as #ThePillowGoddess) is doing, you can make your Instagram feed instantly shoppable, and the Instagram tags on your Instagram photos lead straight back to your site for people to buy what you have for sale, as you will see from the 3 screenshots below from Deborah's Instagram feed. In this post, you will see how it looks, learn how it works, and after this section, you will find links + helpful tips to know on exactly how you can do it, too. And if you read the entire post? You will see a MAJOR TOP TIP at the bottom! 1. When a consumer first looks at a shoppable Instagram feed image, the tags do not show up. 2. When they touch the image, the tags the merchant has entered on their images, show up. See Screenshot 1, below. 3. When the consumer clicks on the arrow next to the tag of the product they are interested in, they see the larger image of the product. See Screenshot 2, below. 4. The larger product image invites them to SHOP NOW, and when they click that arrow, they are taken back to your website, to complete the purchase. See Screenshot 3, below. B. The opportunity to purchase your digital products, too, which you cannot sell on Instagram through shoppable links, at least for now. C. The opportunity to see your entire portfolio of services. D. The opportunity to buy other physical products on the SHOP link on your site. Screenshot 1, showing the product tags that Deborah has added to her luxury pillows on her Instagram feed at http://instagram.com/deborahmaindesigns. Screenshot 2 shows the larger image the consumer sees when they click on the pillow they love from Deborah's original tag on her image from her Instagram feed at www.instagram.com/deborahmaindesigns. Screenshot 3 showing how the consumer is taken back to Deborah's own site, at www.deborahmaindesigns.com, when they click the SHOP NOW button on the 2nd image, from Deborah's Instagram feed at http://instagram.com/deborahamaindesigns. "Can I sell digital products this way? Can I sell my design services this way?" The answer is no, at least not now. This feature, according to Facebook's Terms of Service, is only for those who sell physical products. First, you need to set up the shop itself. Setting up a shop requires that you: 1. Have products you own or make yourself or can curate from others. 2. Have good photography. 3. Are prepared to ship - whether that is drop shipping from others or shipping yourself. 4. Are prepared to manage customer service issues. 5. Are prepared to devote time and resources to managing the back end of your shop. 6. Are prepared to invest in marketing your shop through driving traffic to it through both organic and paid advertising. IF YOU'VE DECIDED THAT YOU ARE READY TO HAVE A SHOP, HERE ARE THE 3 STEPS YOU'LL NEED TO TAKE TO SET UP YOUR SHOPPABLE INSTAGRAM FEED, WITH LINKS BELOW TO EXACT INSTRUCTIONS. 1. First, you'll need to set up your shop on the Facebook Page you want to use, so it can be connected to the Instagram business profile you want to use. Note: You can, right now, only connect one Facebook Business Page to one Instagram Business Profile. 2. You'll need to convert your personal Instagram profile to a Business Profile. 3. Lastly, you'll need to connect your Facebook Shop to your Instagram feed. Once you do this, you will either be approved, or not. There is nothing else you have *to do* in order to be approved. (See the screenshot, below.). Your Facebook Shop can either be set up directly on your Facebook Page, or on your own website, first, through one of Facebook/Instagram's partners in this integration: Woo Commerce, Shopify, Magento or Big Commerce. (Although Woo Commerce is an approved Facebook 3rd party integration partner, it does not appear that shops on your own site, set up through Woo Commerce, are approved for this integration on Facebook's Instagram platform yet, but I could be wrong and am researching that further.). HOW TO GET APPROVED FOR SHOPPING ON INSTAGRAM? As you can see below, once you complete the above steps, there is nothing else you have *to do. * If your account is approved, you will be able to turn on product tagging through SETTINGS on Instagram. CAN I PAY TO PROMOTE SHOPPABLE INSTAGRAM POSTS? No, not right now, but given that this is Facebook, expect that to roll out. When you upload your photos to Facebook, you are granting them the right to use your product photos anywhere on Facebook and Instagram, including in their Marketplace function, and in ads. You will not be able to control where your product images will appear and with which types of content. Create 9 shoppable posts on Instagram, and the SHOP button will appear on top of your Instagram feed making every shoppable post on your feed able to be seen by your Instagram visitors: in one spot! One last note: if you are attending #KBIS2019 in Las Vegas in February, I invite you to come to my round table discussions on “How To Monetize Your Design Knowledge To Generate 24/7 Income on Your Websites and Blogs* in the #KBISthink space in the #KBISsalon tent outside the South Hall, next to the #DMMTalks Lounge. Sign up by emailing me at leslie@savourpartnership.com.